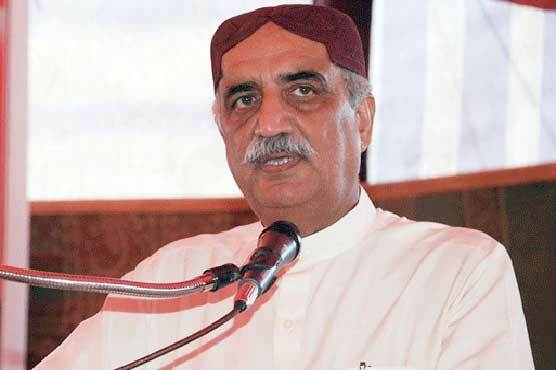 Opposition Leader in National Assembly Syed Khursheed Ahmed Shah demanded that transparent investigation should be launched in the May 12 massacre and the huge cache of weapons found from a house in Karachi’s Aziziabad area. The opposition leader went on to say that Pakistan People’s Party (PPP) has always saved the democracy when it has come under jeopardy in the country. He said that his party had no links to enemies of the state and the interior ministry had always remained silent over the issue. Shah demanded that a high-level investigation of the accusations, leveled by Pak Sarzameen Party (PSP) leader Syed Mustafa Kamal against Sindh Governor Dr. Ishrat-ul-Ebad Khan, should be held. He said that the federal government is opposing Muttahida Qaumi Movement (MQM) London but is not placing a ban on the party in Pakistan.